Do you go to the same 5 restaurants for lunch that you went to 10 years ago? Probably not. They change in quality, new restaurants open, and your tastes change. So why go to the same trade shows you went to for the last 10 years? Your markets have changed, some shows have stagnated, and others have grown. Find out which shows attract your best customers, and adjust your show schedule accordingly. Your trade show program may have one overall goal, such as lead generation, or brand awareness. Take it the next level in two ways. First, by quantifying your goals (Generate 100 leads? Increase brand awareness by 5%? Meet with 25 key clients?). Here’s how you can figure out your ROI, and thus how many leads you need to take at each show to be profitable: Divide your expected revenue (Estimated lead count multiplied by close rate multiplied by dollars in average sale) by your estimated exhibiting costs. Now you know what your lead count goals have to be, by show. Second, by matching each show’s marketing goals to your company’s position in the market. Are you a new arrival? Then focus on building brand and company awareness. Do lots of people know who you are? Then put more emphasis on lead generation. Do you already have good market share, even leadership market share? Then your goal should be face-to-face meetings with clients and key prospects. The trade show floor is cluttered enough with the hundreds, if not thousands of trade show displays. Trade show attendees are overwhelmed trying to weed through all that visual stimuli. So get their attention with a clear message. Rather than put too many messages, words, and images on your display (which will be ignored by attendees), simplify your message, and make those remaining short messages and images larger, so they are immediately understood. Too often we pick booth staffers because they are in sales, because they are chatty, or because they know the product. Even worse, booth staffers are chosen without a good reason, or because they are brand new employees who need training. But these kinds of choices lead to booth staffers who are unreceptive, unwelcoming, and uninformed. They make a very negative impression for your company to prospective trade show booth visitors. 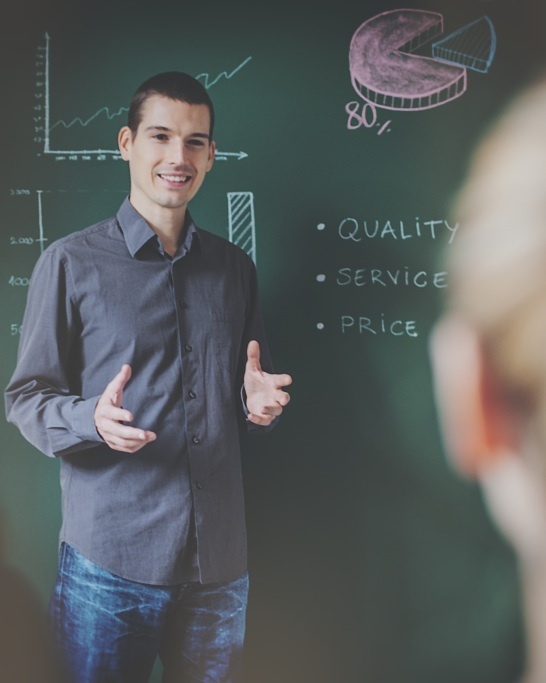 Instead, start with booth staffers who are eager to staff – and then train them how to staff the booth, and about your products, company, and industry. Happy booth staffers will be positive brand ambassadors that create stronger relationships between your company and your customers. Want to know who will be an excellent booth staffer at your next show? Count how many qualified leads (see #7 below) each of your booth staffers took at your last show, divided by how many hours they staffed. What, you don’t have that number? You can, by putting a way to indicate on every lead (paper or electronic) which booth staffer took the lead. For our trade shows, we put a line at the top of the lead card that says, “Staffer: ________” that each staffer writes in their initials. You will be amazed, that the wall flower from customer service took three times as many leads as the chatty director of sales. Track this at every show, and you’ll know who to bring back again and again, and who to politely decline. This alone can double your (qualified) lead counts. Sales people don’t want a lot of leads – they already have too many names in their sales database. They want qualified leads worth their time to follow up on. If you give your sales force the name of every lead you take at the show, they will get frustrated calling through the list to find the good ones. But if you only give them the most qualified, say, quarter of the list (while you continue to market to the rest), your sales force will be much more likely to call every name. Especially if you tell them you’re only giving them the qualified leads. So, train your staffer to probe and discuss with every attendee enough to know which leads are A leads, which need to get to a sales person right away, and which leads are B and C leads, which can wait a while. There are lots of ways to qualify leads, here’s a good one from Ardath Albee. Train with role playing, until your booth staffers feel comfortable determining and recording how qualified the lead is. When you are exhibiting at a trade show, you are competing with the hundreds of other exhibitors for that most precious commodity: time. You need to give your prospects a compelling reason to stop at your booth, rather than almost every other booth in the hall. So bribe attendees with stuff they want, stuff that matters to them personally. Think about both their job and their personal demographics. What would appeal to them, based on the job they have, or the vertical market of the company they work for? And what would appeal to them, based on their age, gender, and mindset? The giveaway you offer could be completely different, depending on what your best attendees look like. Are you still gathering leads by taking business cards? That only gets you so much information. There isn’t enough room on the back of a business card to write down who their current supplier is, what are the prospect’s main pain points, what they liked about your proposed solution, and what follow up you promised. For that, you need at least a lead card, which is a pre-printed form that your staffers can write down all that golden info. If you already are doing lead cards, that’s great – however, you can get even more demographic info about your leads from the show’s lead retrieval machines. Rent their machines, scan attendees’ badges, and then attach those print outs to your paper lead cards. You can also get an exported Excel file at the end of the show that has all those lead scans, so you can import them into your computer, saving time and keystrokes. And if you have the technical savvy, enter your leads right into your database directly from the show, either via an app or an online form, so you can fulfill leads right away. If you already have this in place in your company, congratulations, you have management support for your trade show program where it matters most. If not, ask for it. If you can’t have the company president ask for it, find the highest person who has responsibility for both sales and marketing, and ask them to ask for it. If they understand the cost of your trade show program, the value of the potential leads you have generated, and the speed at which those leads go cold, they will feel the urgency and spread the word. Most, if not all of these methods can be done for little to no cost. It’s just applying proven tactics to sharpening your trade show program. Jump on as many as you can, and see the results in greater lead counts, bigger brand impact, and deeper prospect and client relationships. 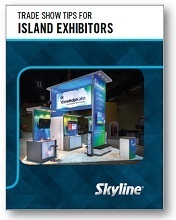 Further boost your results by requesting this free book that contains 26 articles previously published in the Skyline Trade Show Tips blog, so you can be better prepared for the unique challenges faced by island exhibitors like you.